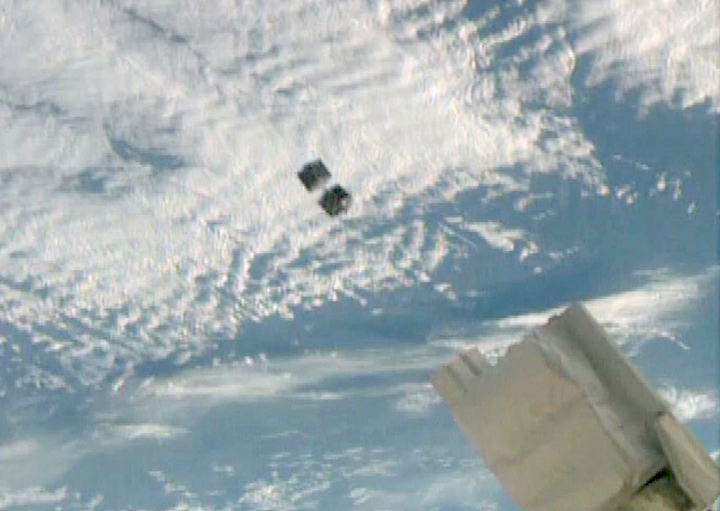 VIENNA, 11 May (United Nations Information Service) - The first cube satellite (CubeSat) developed under the KiboCUBE programme of the United Nations Office for Outer Space Affairs (UNOOSA) and Japan's Aerospace Exploration Agency (JAXA) has been deployed from the International Space Station (ISS). 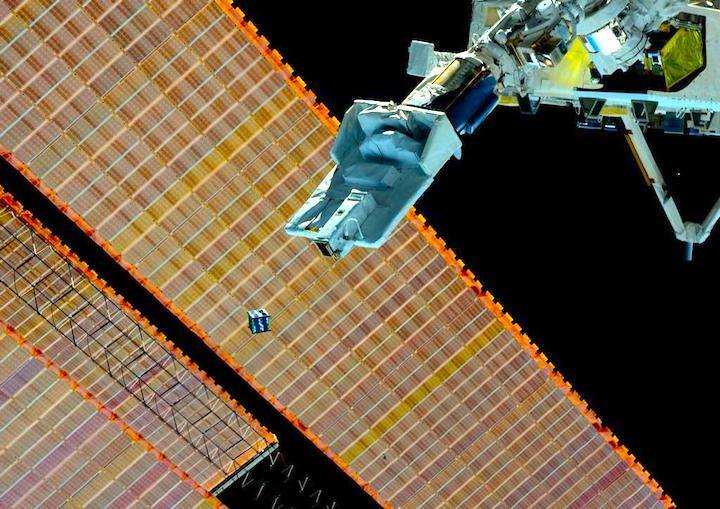 The deployment took place on 11 May 2018 from the Japanese Experiment Module (Kibo) of the ISS with the Kibo robotic arm. The CubeSat, named "1KUNS-PF", or "First Kenyan University Nano Satellite-Precursor Flight", was developed by a team at the University of Nairobi after they were selected in 2016 by UNOOSA, in collaboration with JAXA, for the first round of the KiboCUBE programme. It is Kenya's first satellite, enabling Kenya to become a "space nation" with UNOOSA and JAXA's support. The University of Nairobi team intends to use its KiboCUBE CubeSat to test technologies it has developed for the future launch of a larger earth observation satellite. The team also hopes to apply data acquired from its CubeSat to the monitoring of agriculture and coastal areas. "This first KiboCUBE satellite brilliantly represents our mission at the Office for Outer Space Affairs: bringing the benefits of space to everyone, everywhere. It is fantastic to see the team from the University of Nairobi build and employ space technology, and it is an important step for Kenya in developing its own skills, experience and infrastructure to access and enjoy the benefits of space. Congratulations to everyone involved in reaching this important milestone today. I also extend my continued appreciation to JAXA for their ongoing support to the KiboCUBE programme and to UNOOSA" said UNOOSA Director Simonetta Di Pippo. 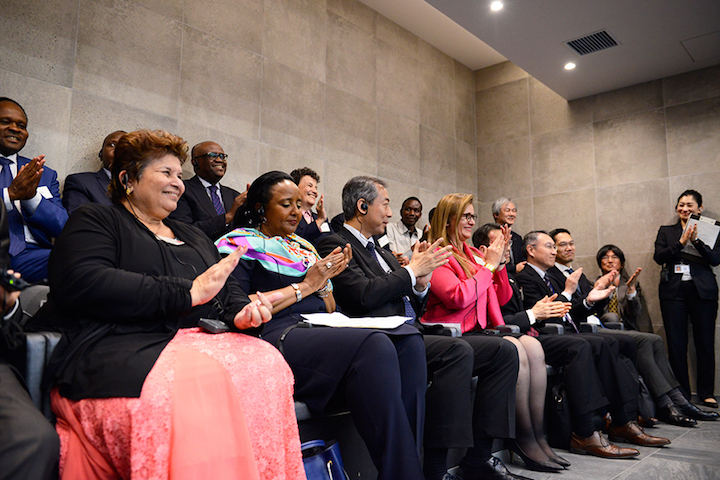 "This is also an exciting step for UNOOSA as it is the first time that space hardware has been deployed as part of our capacity-building activities," added Ms Di Pippo. "Congratulations on the deployment of the first satellite of Kenya from the Japanese Experiment Module "Kibo". I hope this successful first step of satellite deployment as technology demonstration will lead to the next stage of satellite missions from Kenya," said JAXA ISS Program Manager Koichi Wakata. "The CubeSat 1 KUNS-PF of the University of Nairobi, which was deployed today, is the first KiboCUBE jointly selected by UNOOSA and JAXA. I would like to express my sincere gratitude to UNOOSA for their tireless effort in preparing for this joint mission, and I look forward to further extending the cooperation between the two organizations. I am proud that we are contributing to Kenya's emerging space technology through the CubeSat deployment mission utilizing the unique capability of the Japanese Experiment Module "Kibo" on the International Space Station," added Mr Wakata. "The University of Nairobi has completed the development of 1KUNS-PF satellite and it was successfully deployed from the JAXA Kibo Module of ISS. This achievement is an important milestone for the University of Nairobi and Kenya, and it is our vision that it will create new opportunities for the University of Nairobi and Kenya to participate in space science. We are grateful for the support provided by international partners and the Government of Kenya during this mission, and we hope that this will continue in the future so that we can build the capacity for Kenyans to benefit and build more satellites," said Vice Chancellor of the University of Nairobi Professor Peter Mbithi.